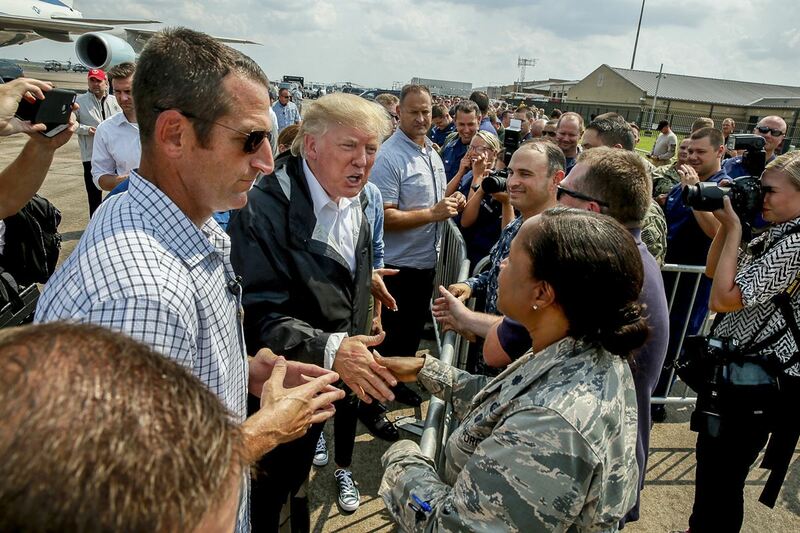 President Donald J. Trump and First Lady Melania Trump announced a $1 million personal donation to Hurricane Harvey relief efforts in Texas and Louisiana, according to a statement from the White House press office. The gift will be distributed among 12 organizations. The selection of recipients was decided upon based on personal accounts of the groups’ work witnessed by the president and first lady and recommendations made by the White House Press Corps., according to the announcement. Likewise, there was no information on whether it would be personal funds or from the president’s foundation. The American Red Cross and The Salvation Army were the two largest recipients of the donation, each reportedly receiving $300,000. The American Red Cross has reportedly partnered with local entities in the aftermath of the storm to assist with aid and the coordination of FEMA efforts. The Salvation Army has provided food and beverages to first responders while procuring food and supplies for victims and assisting at emergency shelters. A Red Cross spokesperson acknowledged the gift, but declined provide additional details in terms of the timing of the gift or how it might be used. A Trump spokesperson was not reachable by press time. Samaritan’s Purse and Reach Out America are the second largest recipients, each receiving a reported $100,000. Samaritan’s Purse reportedly deployed disaster-relief units in response to the storm, equipped with tools, chainsaws, and other emergency supplies. Reach Out America focuses on volunteer assistance, per the organization’s website. A Samaritan Purse spokesperson declined to confirm or provide details relating to the Trumps’ gift, citing organizational policy. * Team Rubicon – $25,000. It is not unusual, for a president to make personal donations while in office, but the sum is notable. President Barack Obama, for instance, made about $1.1 million in personal donations during his time in office, according to a Forbes report. Leading recipients, per the report, included Fisher House Foundation ($392,000), Boys & Girls Clubs of America ($48,000), and Mosaic Youth Theatre of Detroit ($19,500).